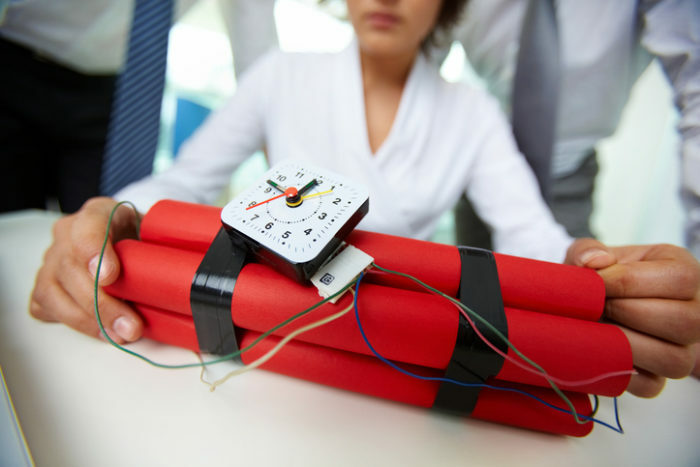 Advantages & Disadvantages of Trusts: Is yours a ticking time bomb? The Labor Party’s proposed taxation of trusts has placed them in the spotlight again. But did you know that existing Australian law could mean that your trust is a ticking time bomb? So what are the advantages and disadvantages of trusts? If your company is structured in this way, and many Australian companies are formed as family trusts, what are the longer-term implications? The proposal to tax trusts at similar rates to companies is not a new idea. Legislation to do something similar was set to be introduced in July 2001, following the Ralph Report when John Howard was Prime Minister and Peter Costello was Treasurer. It was eventually scrapped due to complexity. Trusts are very useful vehicles for holding capital-appreciating assets because control of the trust can be passed without attracting capital gains tax or stamp duty. Rather than transferring the individual asset, only control of the trust is transferred. This makes the use of trusts in estate and succession planning very effective. Trusts also offer the advantage of being able to allocate income to beneficiaries on lower tax rates. But there are penalty rates for making allocations of income to children under the age of 18 years in most circumstances. Trusts are NOT a tax-avoidance tool: any income not allocated to beneficiaries each year is assessed to the trustee at the top marginal rates. Believe it or not, the main disadvantage with trusts can be traced back to 1681! Unbelievably perhaps, this rule still applies to every State of Australia except South Australia, which passed legislation abolishing the law in 1996. What happens when a trust expires? The problem with the “rule against perpetuities” is that it will trigger capital gains tax when the assets are forced to be vested from the trust after the 80-year period. It effectively expires after that time period. Imagine a wardrobe with all your assets in. After 80 years you are forced to transfer these assets to a new wardrobe and, in the process, you need to pay capital gains tax on the appreciation of those assets, even though you may not want to sell them. To put it in more technical terms for a second: capital gains tax will be payable if the market value of the asset at that time exceeds the cost base of the asset to the trust. And any attempt to extend the vesting date will also likely result in stamp duty being payable on the market value of the assets of the trust as a resettlement. Depending on the value of the assets, you could be liable for a massive tax bill. The simple answer would appear to be to make the trust subject to the laws of South Australia. However, it’s not that simple. Australian common law does not recognise the concept of a trust having a home State. Rather, it comes down to where the administration and assets of the trust are located to determine which State laws apply. In the majority of cases, it will not be practicable or indeed possible to “house” a trust in South Australia from outside that State. It seems ironic that we are governed by an antiquated ruling from 1681, almost 90 years before Captain Cook had even landed in Botany Bay! It is high time that this issue of taxation of trusts was addressed by the other States of Australia.